It's also worth bearing in mind that the so-called "white" areas on the tail of *Sinosauropteryx* are really just areas that lack melanin. There could still have been other pigments present (like carotenoids, which produce hues in the yellow/orange/red range) that would not have been evident in the present study. 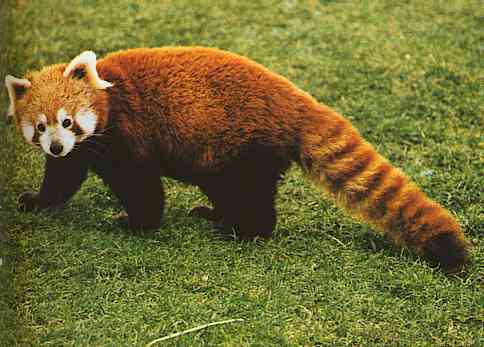 Such a colour scheme seems to work for red pandas. Orange and white coat patterns are quite common in modern animals - and although they seem to scream 'here I am' to us colour visioned beasties when the animals are out in the open (especially against green grass), they can be surprisingly difficult to spot in any sort of cover or dappled shade. Prev by Date: RE: Did Feathers Evolve for Dispaly? We Still Don't Know!